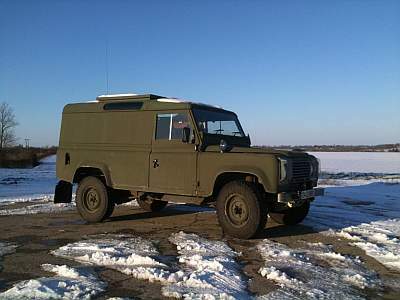 Murpha is a 1985 Land Rover 110. There are many like it, but this one is mine. My Land Rover has been a minor interest to me for the 18-months prior to launching this website, but I have plans. Those plans involve this collection of metal, plastic and rubber parts, so I'd better start taking Murpha more seriously. As those plans take shape, I'll catch up with the past. The more I think about it, the more I realise I've had quite a bit of fun in this old Land Rover, though. Not only that, as I've posted photos and tales to my personal Facebook page, it's made me realise that others are interested in it, too. Some people are interested because they own, or have owned, Land Rovers. Others simply enjoy hearing about stuff that happens with these icons of the 4x4 world. I suppose every old Land Rover is interesting, really. I'd better do my utmost to make sure this website is interesting, too, then. If you get a little bit of joy from Murpha, I'm happy. To me, that's what the spirit of motoring is all about; smiles all around.